Good news today for anyone worried that DC and Warner Bros. were sort of losing the plot when it came to their rapidly fracturing “universe” of superhero movies: THR reports today that the studio has given a greenlight to development on The Trench, bringing back everybody’s favorite characters from last year’s billion-dollar-grossing Aquaman, and reassuring us all that these studios know precisely what their audiences want. “Who are The Trench?” Oh, c’mon, dear readers: Don’t pull our fins. 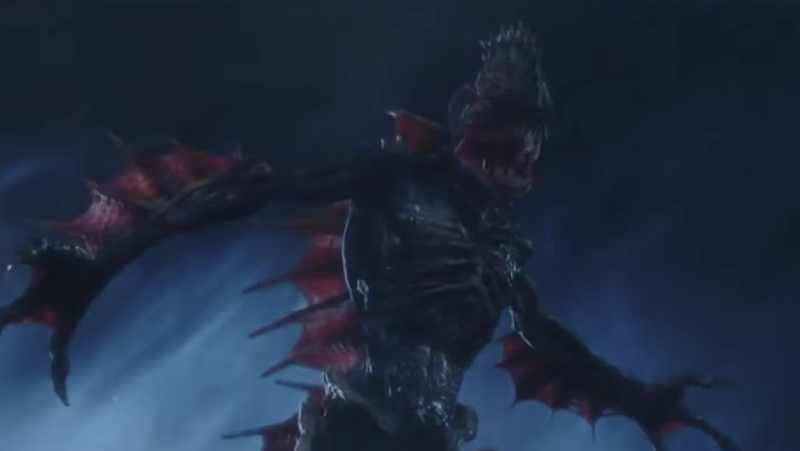 Everyone remembers The Trench, the screeching fish monsters that briefly menace Aquaman and Mera in the movie’s second act, because you can’t have Ocean Master and Black Manta on the screen all the time. Sure, they’re only in the movie for five minutes, serve only the barest of narrative purposes, and could have easily been excised to the realm of DVD extras. But don’t you remember the scintillating conversations you had about them while walking out of the theater? “The Trench!” you oohed and ahhed, already planning your weirdly horny, Venom-esque fan posts and “Trench Lyfe” tattoos. “The Trench!” your friends crowed back, visions of big-teethed fish…things…dancing in their heads. “THE TRENCH WERE THE MOST INTERESTING THING IN THAT MOVIE!” you all screamed at passerbys, before fleeing the rapidly approaching police. Really, who doesn’t love The Trench? Not Warner Bros., which has just okayed a horror-themed pitch from newcomers Noah Gardner and Aidan Fitzgerald to write a movie about the third-tier amphibious threat. Nobody knows exactly what the script will end up looking like, but we do have one reassuring note for anyone worried this movie would be too relevant to their life and interests: Nobody who was in Aquaman will apparently be in it, because these studios apparently looked at that movie’s success, considered it carefully, and then decided that CGI fish monsters were the reason it did so well. To be fair, this plan does gel with DC’s current movie-making strategy, which is moving away from shared universes in favor of smaller, more genre-y movies with vague connections to a larger whole. Aquaman was already practically standalone, while this April’s Shazam! is essentially a kids’ movie with some shared DNA, and Birds Of Prey has the makings of a caper flick. Horror is just the next step, and while we, personally, might have gone with some of DC’s actual horror titles as inspiration for that kind of shift—there’s still room in our heart for a really great Swamp Thing or Hellblazer movie—it’s clear that the Trench-loving masses have spoken.